50's Girls Costumes Grab your poodle skirt and get ready to have a blast at a 50's themed celebration! If your daughter is getting dressed up for Halloween, or she's going to a Nifty Fifties party, and you need to find some period relevant garb, don't sweat it! She's guaranteed to find a 50's Halloween costume she'll love, whether she wants to feel like a movie star or pretend to be a bobby soxer or cute car hop at a diner. 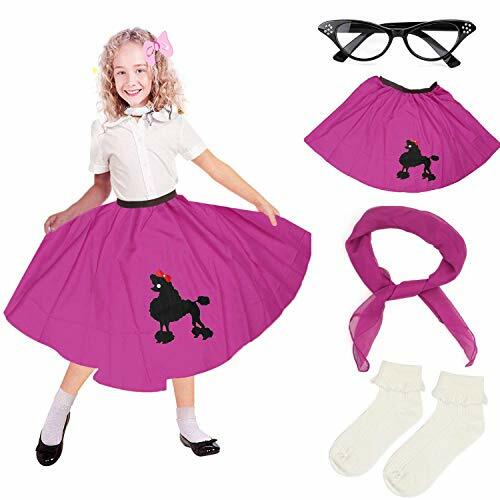 Specification ※Quality made, great value ※Comfortable to wear with stretchy elastic waistband ※Great for school plays, sock hops, Halloween, 50's Party, and more ※One size fits most Package include 1 x Poodle Skirt 1 x 50's Chiffon Scarf 1 x Cat Eye Glasses 1 x Bobby Socks →This costume set will make girls look like she stepped straight out of the 50's! 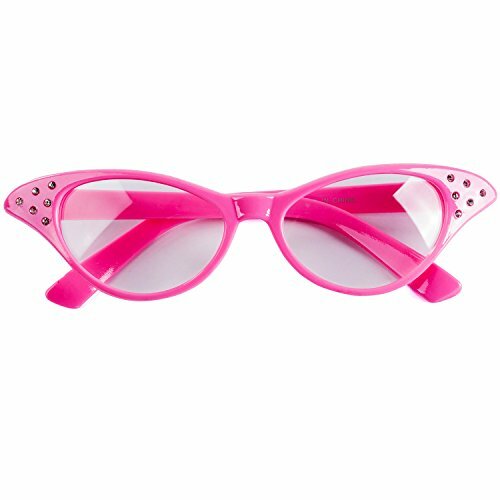 These hot pink cat eye glasses come with a rhinestone embellished frame. Perfect accessory for costumes or everyday wear. 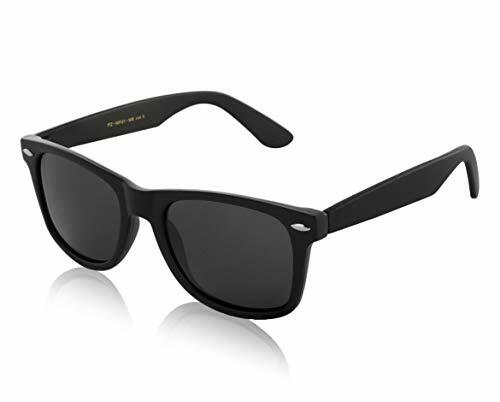 Bring out your inner pink with these adorable Grease inspired glasses! One size fits most women and teens. 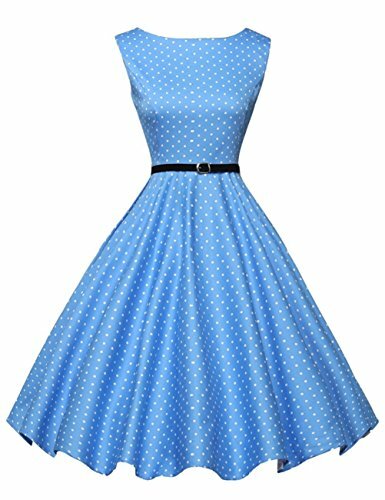 Take a trip back in time with this 50s sweetheart costume! 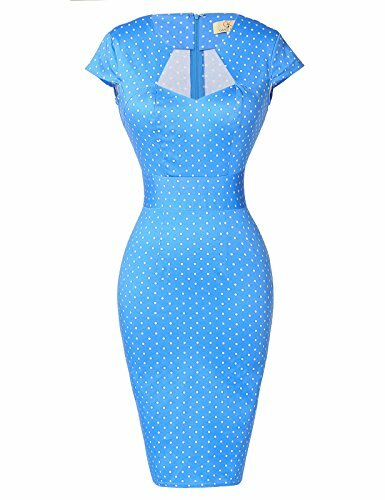 Including belt, scarf and decorative iron ons, you can turn any outfit into a fun and retro party dress that will have you doing the Twist in no time! 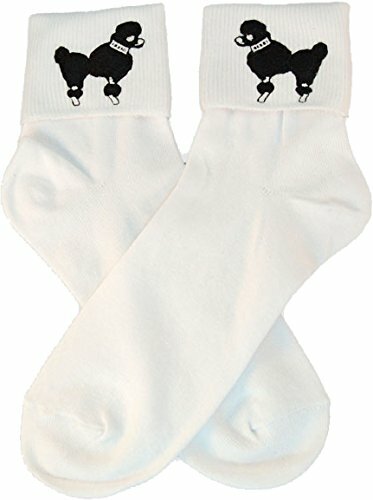 Made of high-quality comfortable materials! Beat the Halloween rush when you order yours online today! Hitch a ride with this sweetheart in a poodle skirt as she goes back to the future! Get the jukebox jumpin' and the Chevys' revvin' — the fabulous fifties are back! The 50s Sweetheart costume will make her look like she was born to hand jive! It includes a red and black dress, pettiskirt, scarf, belt and iron-on monograms — everything she needs to rock around the clock! From the button up bodice and the peter pan collar, to the classic poodle decoration and polka dot pettiskirt, it's the details that make this frock really rock! Get personal! The included iron-on monograms allow you to add initials so it exclusively hers . The whole family can get in on the oldies fun — find fifties costumes for everyone! Includes: dress, pettiskirt, scarf, belt and monograms. Does not include shoes, socks or glasses. Any little sock-hopper is sure to enjoy going trick-or-treating in this retro '50s Sweetheart Costume this Halloween. 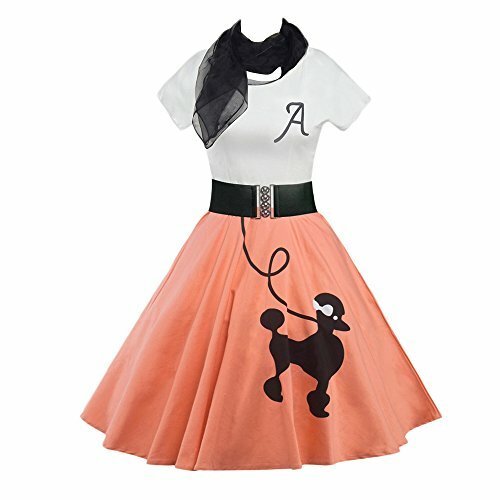 It features a lovely black and pink dress and a pettiskirt with iron-on monograms that add a nice touch. It comes complete with a scarf and a belt. Shoes are not included. This '50s Halloween costume will help little girls stand out and be the best dressed sweetheart in the soda shop. It is also great for school plays, historical reenactments, parades, family occasions and other holiday productions and festivities. It is made out of polyester. If you're looking for a 50's ensemble for your child, this costume has a bright and cheerful yet classic appeal. The checkered shirt with its peter pan color and cuffed short sleeves would have fit in well in the hall of a 1950's high school. This poodle skirt with tulle hem has an instantly recognizable look, perfect for swing dancing. In this ensemble, it won't be long until she's doing the hand jive! VINTAGE DUTCH GIRL COOKIE JAR FROM THE 50'S - EXCELLENT CONDITION !! !